OK, need to input. 5 out of the five times I have backwashed my filter, the push/pull valve has developed a small leak at the top around base of the handle. Each time, the PB has sent the warranty people out to repair it. Not sure what was done the first two times (replaced O rings?) but it fixed the leak. They last time, They replaced the valve and stopped the leak. A few days ago, I backwashed and then took the filter apart and cleaned the grids. After putting it back together, I now have another leak at the base of the push/pull handle!!! Each time prior to engaging the handle to open the valve to backwash, I have made certain the pump as been off. I can't imagine what is causing a leak to start ALMOST EACH AND EVERY TIME! Any ideas? Looks like it may be the top o-ring #6, it's a standard 227 O-ring, maybe try a #227 O-ring in Viton. Also check the condition of the tube to ensure there are no buildups/ridges or such to damage the O-ring. Thanks! Any thoughts on why it has had to be replaced three times in 6 months? What are your test readings? Could be a burr or such on the inside tube or ? Water chemistry out of wack? Excessive pressure? You could inspect the o-ring and see if there's anything abnormal about it. It it seeping or does it come out dripping continuously? Check the Maintenance procedures, it gives what to look for/fixes. 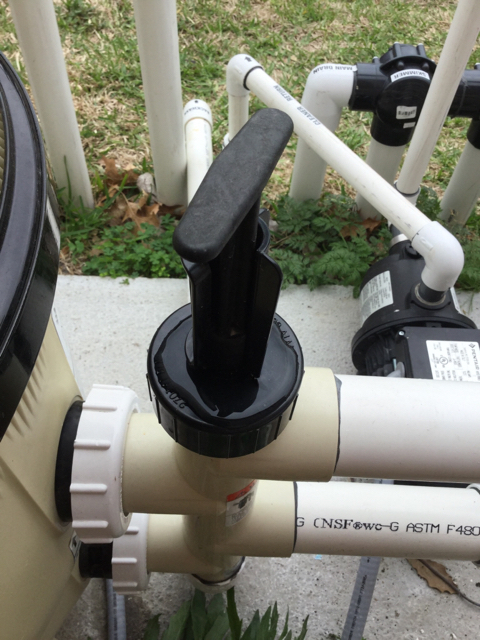 Are you bumping the filter when it's on hi or low pressure? It may take high pressure to set/seat the o-ring, then go to low pressure. Test results are on target. 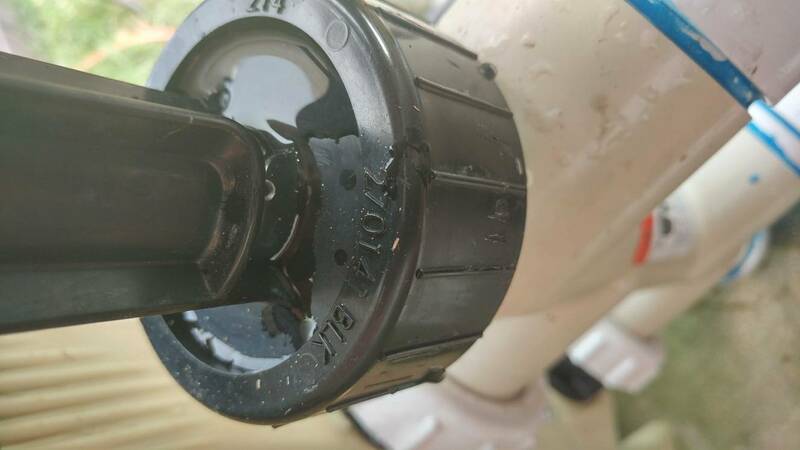 Will check on the burr but as I said, the PB replaced the last push/pull valve...this one leaks as well.pressure is on target. I'll visually inspect the O ring. I feel your pain! Mine is doing the exact same thing! Pentair as well. I called today to have it replaced under warranty a second time! I just don't get it either....Oh well, eventually they will fix it permanently...hopefully. I know this post is a year old, but I just learned something that may help others. When you close the valve, don't rotate it so that the pin is all the way to the 'closed' position. Just turn it about half way, so that it's under the lip, but not fully seated. What I think is happening is turning it all the way is over tightening the o ring and causing it to deform and let water by. And it's a small world. I'm in Wylie and assuming your login is an abbreviation of your name, I think we share a last name.